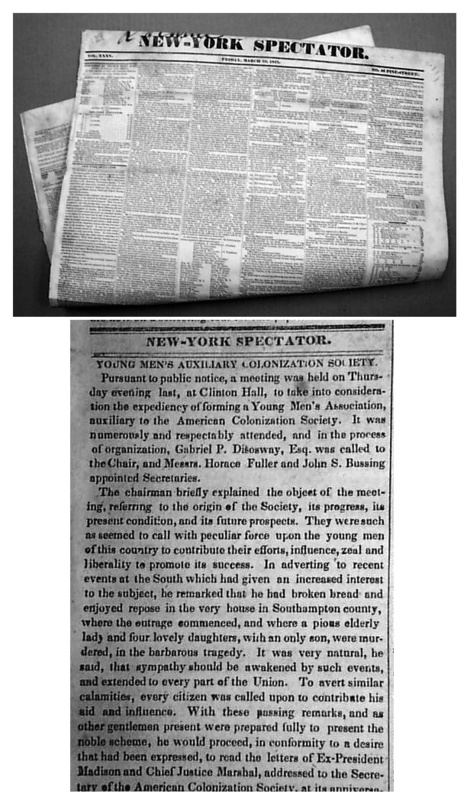 NEW-YORK SPECTATOR, March 23, 1832 Ftpg. has a detailed meeting report: "Young Men's Auxiliary Colonization Society" along with a list of the officers &managers. Some light foxing.